The ratio of registered nurses per capita in Ontario is sinking fast, says the Ontario Nurses’ Association (ONA), putting the quality of care of the province’s patients at further risk. 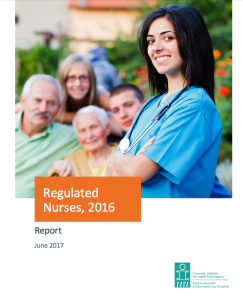 A report released today by the Canadian Institute for Health Information (CIHI) on registered nurses (RNs) in Canada showed that the province of Ontario continues to be in last place in the RN-to-population ratio. This entry was posted on Thursday, June 1st, 2017 at 9:43 am and is filed under Longwoods Online, Publisher's Page.